Rabbi Moss fixing the Mezuzahs at the front door. 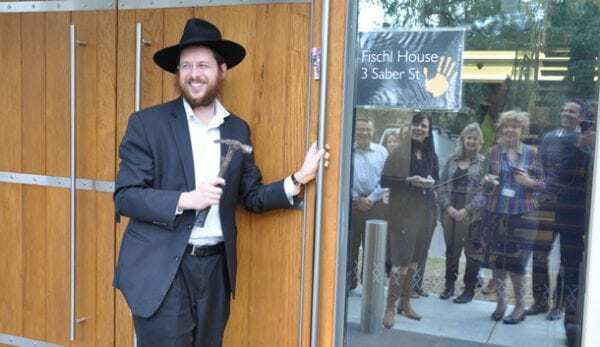 A spokesperson told J-Wire: “JewishCare has now moved into its purpose built Community Centre in Newland Street Cnr Saber Street Woollahra. The Centre will be known as Fischl House. With the exception of the North Shore office all of JewishCare’s programs and office staff will now operate out of the new four level building. Fischl House is ideally situated in the heart of the community with easy access to transport and parking. The new site contains a shop front location for Print35 design studio as well as community lounge and a series of flexible spaces for meetings.